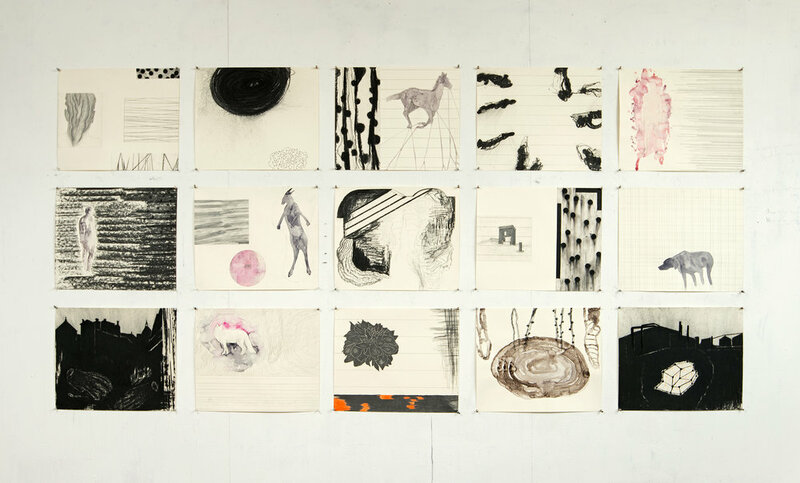 Arno Kramer works as a visual artist and curator in the Netherlands and in Ireland. In 2015 he was awarded the Netherlands Artists of the Year, in the older artists category. 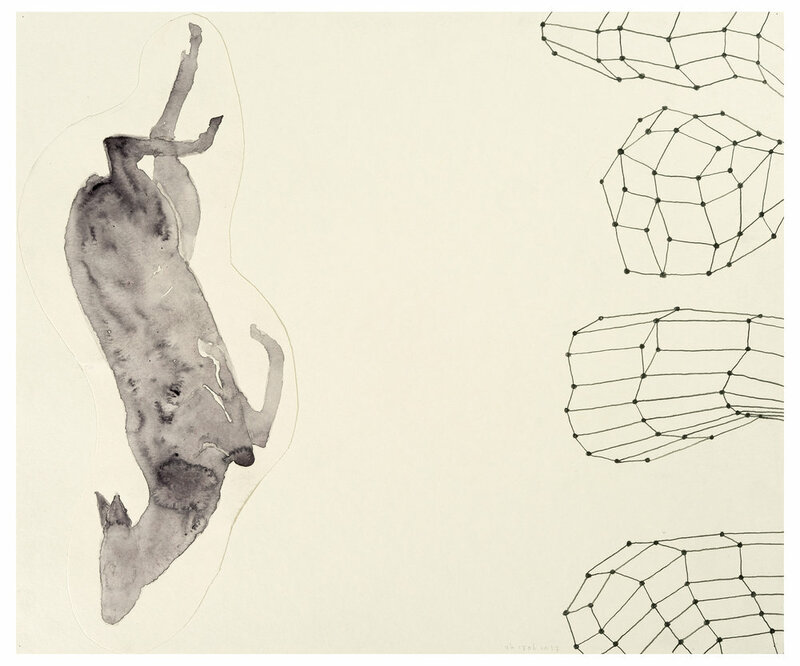 In 2005 he curated Into Drawing Contemporary Dutch Drawing, this show travelled to 5 European countries. 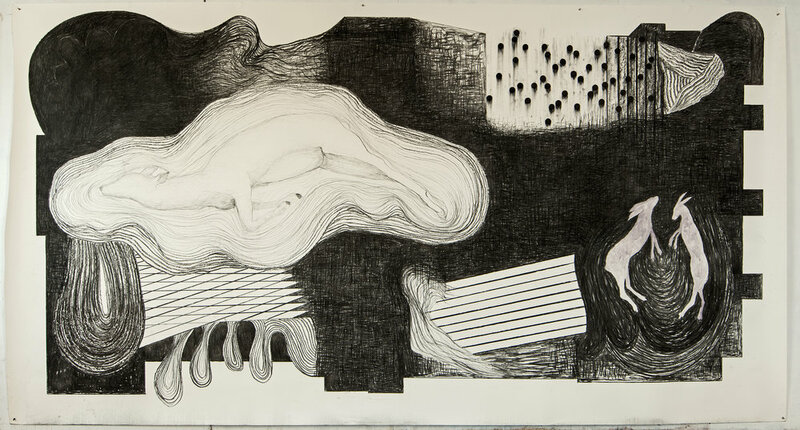 In January 2009, he curated Into Irish Drawing, which began a travelling exhibition in The Netherlands, it then travelled to France and Northern Ireland. For 20 years, he was a teacher at the AKI Akademie voor Beeldende Kunst en Vormgeving (Academy of the Visual Arts and Design) in Enschede, the Netherlands, and has been a guest lecturer at art colleges in Ireland, England, Scotland, and the USA. He publishes on the visual arts and also writes poetry. He is currently the first curator of the Drawing Centre Diepenheim in The Netherlands. Recently, he co-curated, with Diana Wind director of the Stedelijk Museum Schiedam, All About Drawing.100 Dutch Artists, an overview of 50 years of Dutch drawings, presented in the Stedelijk Museum Schiedam. His own work has been displayed in the Netherlands, Ireland, England, the USA, Sweden, and Germany and is in private and public collections in these countries. Collections include; the Stedelijk Museum Amsterdam, Teylers Museum Haarlem, Rijksmuseum Twenthe Enschede, Van Reekum Museum Apeldoorn, Fries Museum Leeuwarden, Stedelijk Museum Schiedam and in Ireland in the Model Arts and Niland Gallery in Sligo and the Limerick City Gallery of Art Limerick. For more information or purchase enquiries contact the gallery.